MIAMI BEACH CONVENTION CENTER for cleaning. 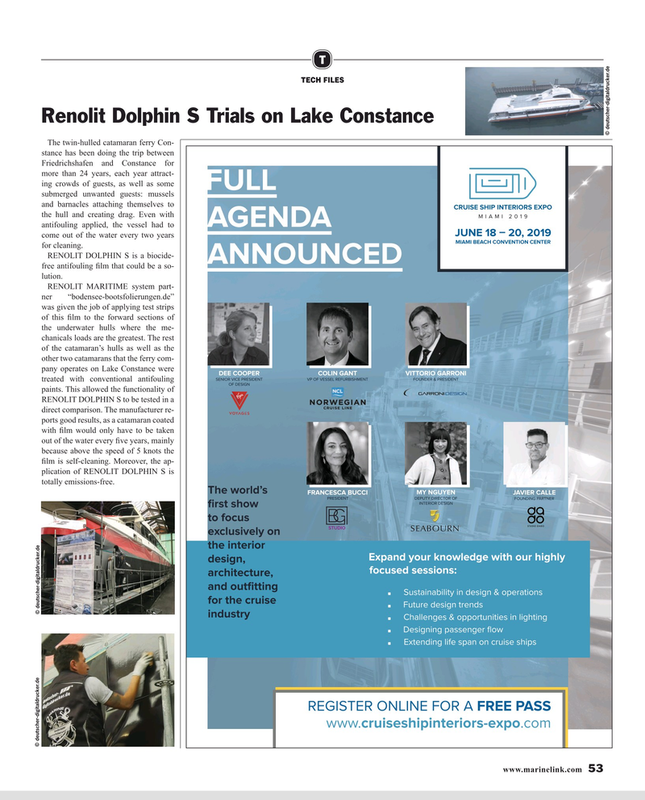 ANNOUNCED free antifouling ? lm that could be a so- lution. RENOLIT DOLPHIN S to be tested in a direct comparison. The manufacturer re- ports good results, as a catamaran coated with ? lm would only have to be taken out of the water every ? ve years, mainly because above the speed of 5 knots the ? lm is self-cleaning. Moreover, the ap- plication of RENOLIT DOLPHIN S is totally emissions-free.